Your carrier pricing agreement is designed to increase the carrier’s bottom line, not yours. Parcel carriers are excellent at delivering packages but are even better at hiding margin in your contract and amassing record profits. Despite what you may feel is a highly competitive agreement, your carrier is likely making 20-40% margin on your account today. BLX’s parcel negotiating team is comprised of former UPS® and FedEx® pricing executives who will reduce your carrier margin to 5-7%. Deep inside UPS® & FedEx®, the only staff with an understanding of margin reside in their Pricing Analytics departments. Their job is to evaluate every proposal and calculate the margin that the carrier will net on that account. BLX’s parcel team came from these departments, which means we know the MARGIN the carrier is making on your account. We also know the lowest MARGIN contract approved within your spend range. Forget about discounts and incentives. We know MARGIN. With BLX’s team of parcel insider veterans on your side, you will no longer be subject to unfair pricing and onerous contracts. You don’t deserve a ‘competitive’ agreement. You deserve the absolute best-in-class parcel contract possible. 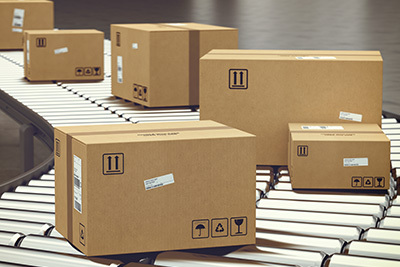 Leveraging BLX’s expertise and proprietary pricing software that dissects every cost driver associated with your parcel DNA, we will negotiate the absolute best agreement possible. In addition to reducing your cost of UPS / FedEx shipping, BLX can also impact your cost of shipping through the USPS. As with our UPS & FedEx expense reduction, our USPS services also include a no-cost initial assessment. Our success rate is 90% and average savings is 22%. Contact us today for a free cost analysis of your UPS / FedEx / USPS parcel spend. © 2019 Bottom Line Experts - All rights reserved.